Microsoft Office Live is a set of small business services built around a Microsoft’s Sharepoint technologies. The new site combines bCentral with Sharepoint for free web hosting, e-mail, and group sharing online. Microsoft will also offer subscription plans with less or no advertising and access to over 20 additional online business applications. Anyone can now sign up for a domain name, setup their own website, and have a professional e-mail address. You can design your site using Microsoft templates directly from their web page. You can signup for up to 5 e-mail addresses at your-domain.com with 2 GB of mail storage. You can even store files in a private corporate vault for group access. Microsoft serves advertisements on each page aimed at small business owners. 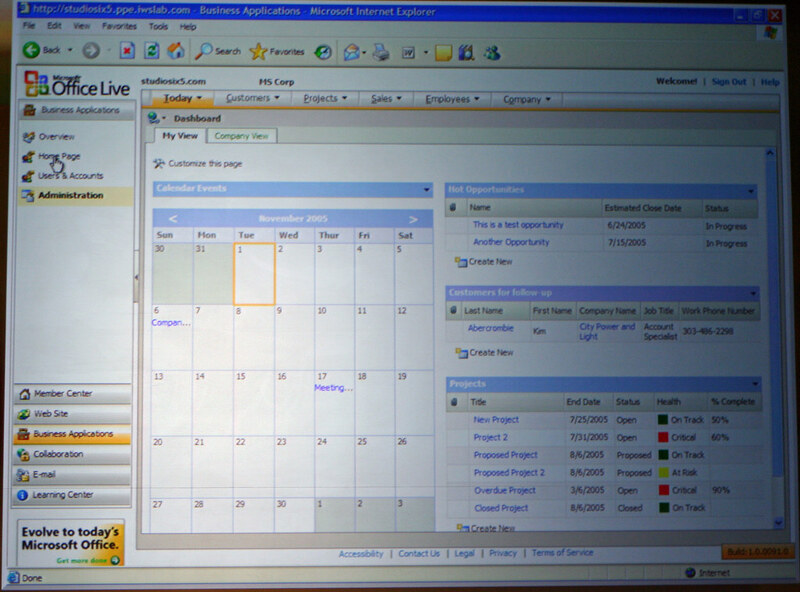 The service will be available in the United States in Q1 2006 in beta form. How will Office Live affect web hosts? I think it will be a good introduction for small businesses and allows Microsoft to compete with Yahoo!’s existing free hosting offer for small businesses listed in its index. Microsoft currently offers three levels of hosting ranging from $13 a month to $50 a month. It will be interesting to see what is offered as upsells.